Cosgrave Studios: This Angel Needs an Angel for the Holidays! This Angel Needs an Angel for the Holidays! Our neighbors found a dog running loose on Saturday, very sweet. I've been checking around to locate owners but so far no luck. No one locally has reported her missing. We've decided to call her Angel, since surely one was looking out for her on a day of awful weather. Temps got down to 26 with sleet and freezing rain and high winds. No time for a lost baby to be outside! She's a darling one year old Yellow Lab! Housebroken, gentle with people and other pets (unsure about cats since we don't have any here currently). 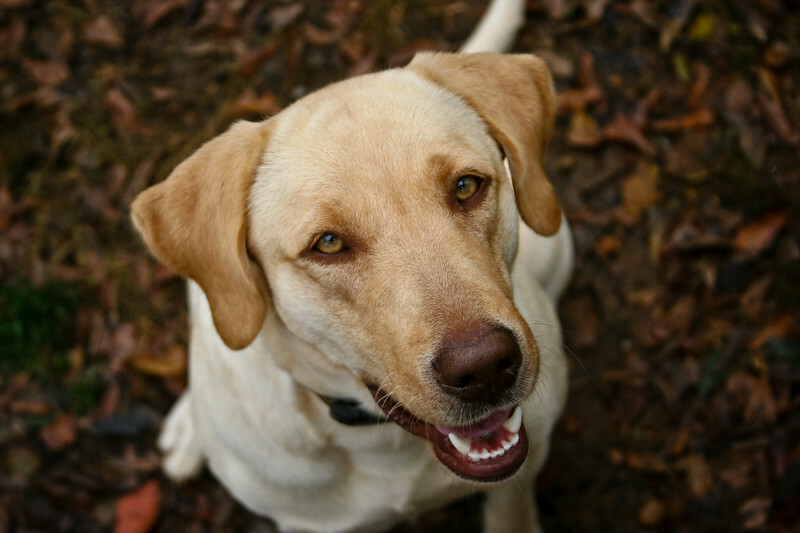 She's a classic retriever in every sense of the word; loves to fetch, a people pleaser, and easy-going personality. She even knows sit! Angel is very needy right now and doesn't like it if we are out of sight. She prefers to sit right up close to you with her head on your lap. Click her photo below to see more. Angel will be spayed and brought up to date on vaccinations prior to placement with a new family and a rehoming fee will apply to help cover those costs. If you think she might be the right dog for your family, please contact us. Thanks!